If we’ve already provided subtitles for the video you’re watching, that’s what you’ll see. 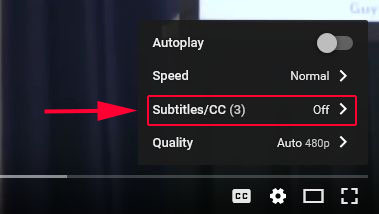 If you’ve picked one of the few we still haven’t got round to, you get YouTube’s automatically-generated subtitles which — while they do obviously represent great strides in voice recognition technology, compared to how things were only a few years ago — can still be a bit hit and miss. 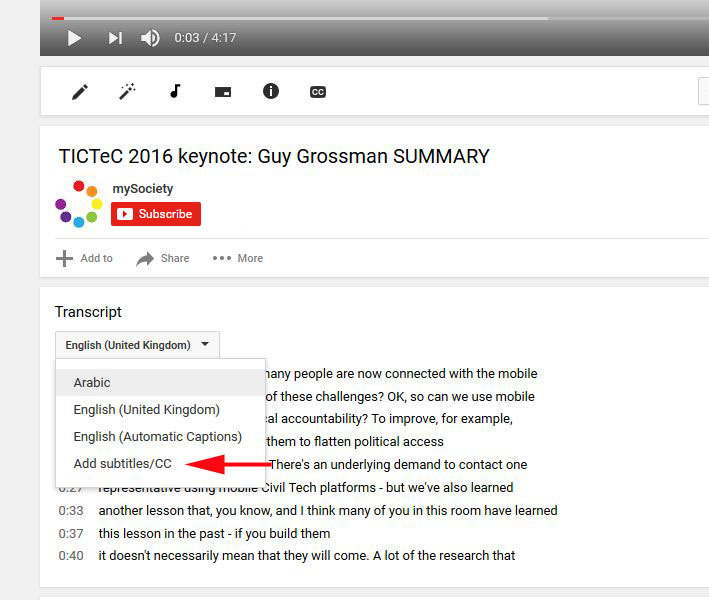 Subtitles make videos more useful for all sorts of people, from the hearing impaired to those who just want to watch without disturbing others. But of course, English subtitles aren’t necessarily useful for people who speak other languages. 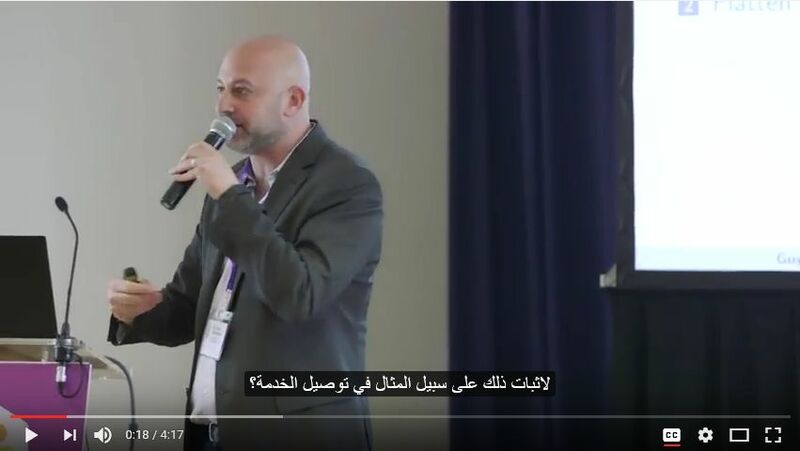 The National Democratic Institute (NDI) recently asked whether we’d mind them translating some of our subtitles into Arabic. Mind? We were positively delighted. 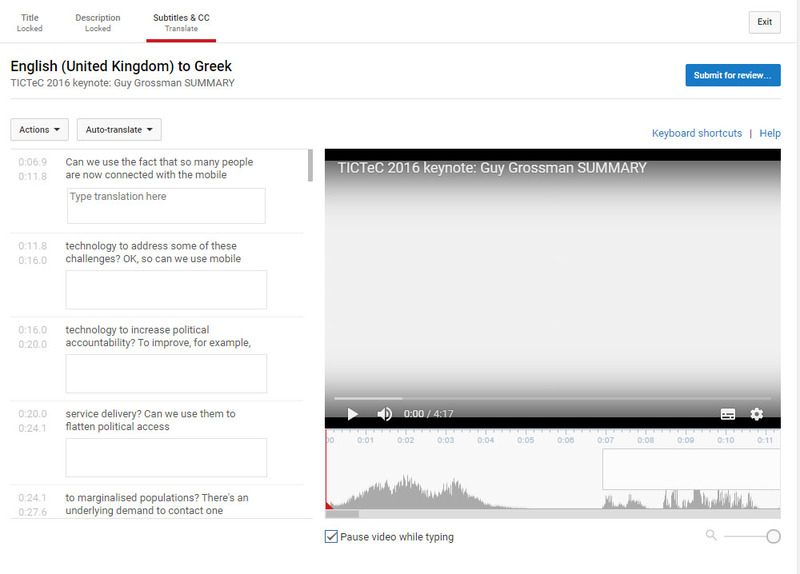 It turns out that YouTube has really upped its game on subtitles, making it much easier to add them to our own videos, and providing the means for others to contribute too. 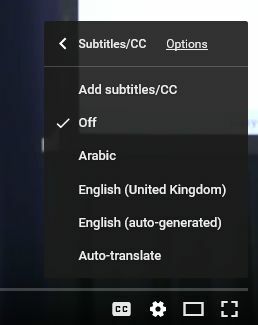 Then select the language you require: in this case, you have the choice between Arabic, our own English subtitles, or, for potential comic value, the auto-generated version. Incredibly, you can also select ‘auto-translate’, which takes the English transcript and gives you what appears to be a fairly reasonable version (presumably run through Google Translate) in any one of more than 100 different languages. 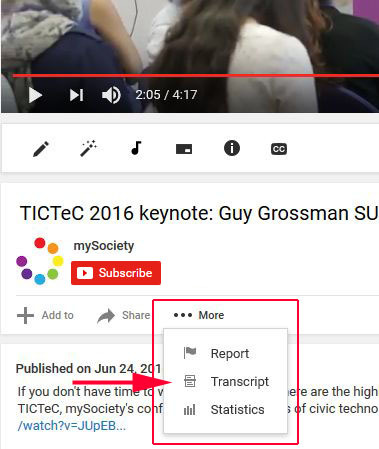 If you think our videos might be useful for organisations, researchers or students, but that they would benefit from being able to read the subtitles in their own language, you are more than welcome to contribute a translation. Click on the name of the language, and you get this simple translation interface, with a box below each section of the existing transcript for you to type your translation into. And as you type, you’ll see how the subtitles will look on the video. Once you’re done, you just click ‘submit for review’ on the top right, and that sends us an email to tell us there’s a translation waiting. And that’s it! You’ve benefited everyone who speaks your language… and of course we here at mySociety will also be very grateful.